From my travel photo album of Fiji I visited in May. Fiji, especially Vanua Levu Island is geothermally very active and Savusavu is most well known for hot springs in the country. There are mainly two spots hot springs are gushing at Savusavu. One is in a small park, just off the town center. 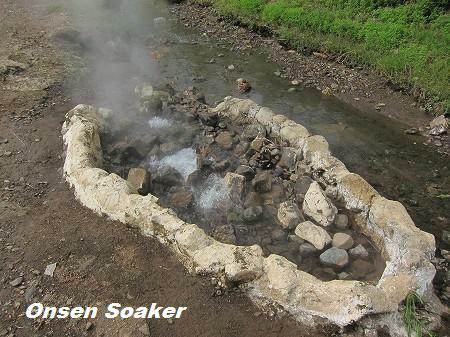 Very hot spring, around 80°C is gushing. It's too hot to soak. Actually hot springs here aren't for soaking but for cooking. 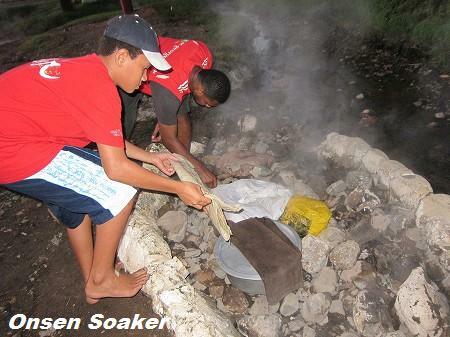 Many people come to this park to cook, steam or boil vegetables, meats and fishes. 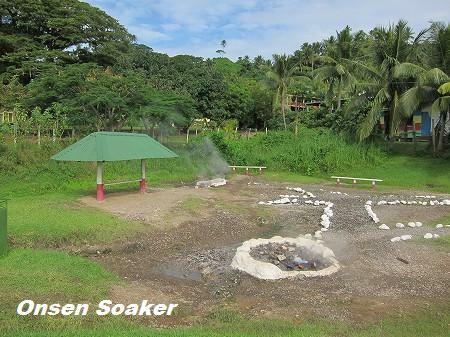 It's a pity the "Savusavu Hot Spring Hotel" I stayed didn't supply hot springs for bathing. They said it's too hot and cooling down cost was higher than water heating. The another spot is seashore. 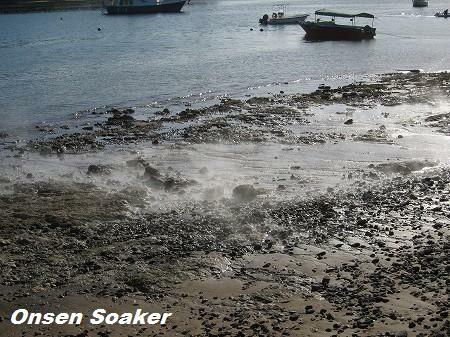 Hot springs are gushing everywhere along seashore. It's very hot also here and I saw a tourist burned his foot when he tried barefoot walking. There are some small hot spring ponds at seashore and people cook here, too. 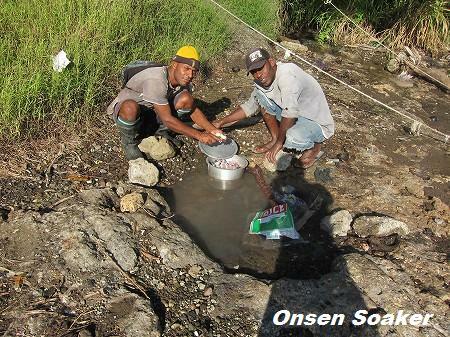 These guys boiling fish for their breakfast.